It’s that time of the year when all we think of is domestic cleaning. Take advantage of the warm days of spring to conquer deep cleaning tasks to enjoy not only a clean but also a comfortable home. Our spring house cleaning checklist will help you prepare your home and hearth for the imminent arrival of spring. Now is the ideal time to clean your windows before the summer comes. Start by first vacuuming the window wells to get rid of bugs, dust or other debris. After that, wash them out using a mid-cleaning solution. Remember also to take your screens out and hose them down. Spray them using an all-purpose cleaner, allow them to sit for one minute and then hose them down. Remove and wash your window treatments if they are washable. Otherwise, take them down and hire a cleaning company to clean them professionally. Some blinds are easy to clean, but some are difficult to clean so you will need to hire a professional cleaning company. All you need is just some bleach, scrub brush, and a mild detergent. 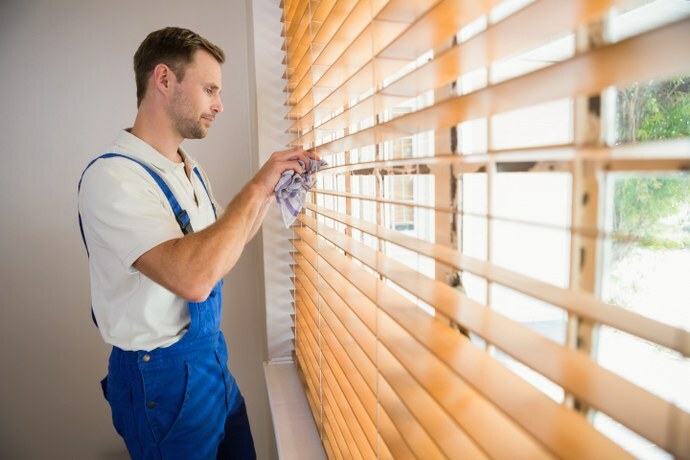 Clean your blinds by rubbing them with a scrub brush, or scrubbing and hosing them down outside. Finish by hanging it out to dry. But if the blinds are inexpensive and excessively dirty, the best option would be to have them replaced with another set. Certain fabric shades require professional cleaning. You can have yours done professionally, and they will look like brand new ones. While it may cost you a substantial amount of money to clean them, it is still a huge saving on your part. If you usually use lighter curtains during summer days, this is the time to remove the winter ones and replace them. Take out covers and clean the stubborn dust and bugs that have built up over the last months. 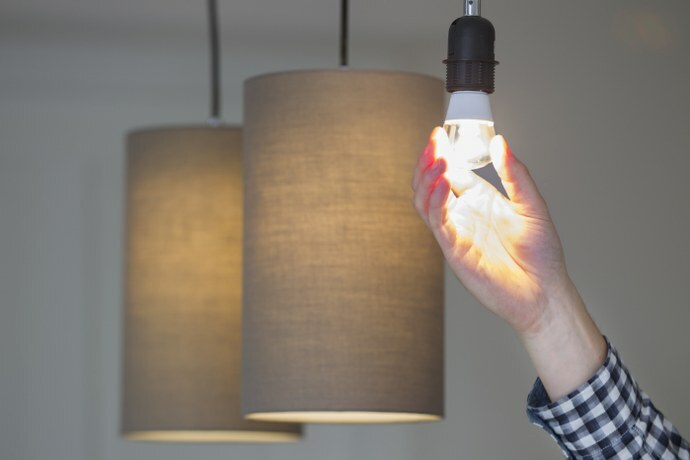 Remove the light colours from chandeliers and ceiling fans, and wash and replace them. Remember to also clean ceiling fan blades. Another important aspect of home cleaning is to vacuum fixtures while paying attention to areas that accumulate dust. Make sure that you use the proper attachments. About washing any glass, spray it and then clean in place. Alternatively, you can remove the glass, wash it and then replace. 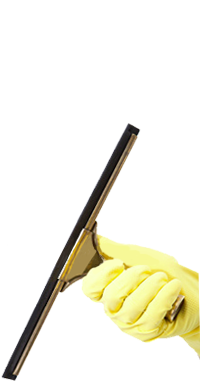 Most people forget this cleaning chore yet it is a critical component of house cleaning. 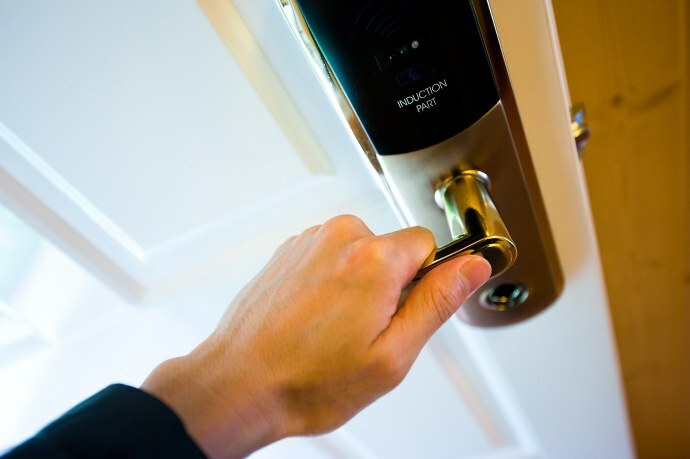 There are so many germs and dirt lurking on switch plates and doorknobs, and it’s imperative that you wash these areas as well. Wipe down the door knobs and the handles using appropriate home cleaners. With switch plates, you can either clean them in place or remove and wash. This depends on their level of dirtiness. If it’s too much for you, hire a top cleaning services provider. If you are preparing for spring home cleaning, you will find this checklist useful. It offers a great way for you to track what you are doing. Whether you are doing regular domestic cleaning or a simple one-off house cleaning, you just have to stick to them. 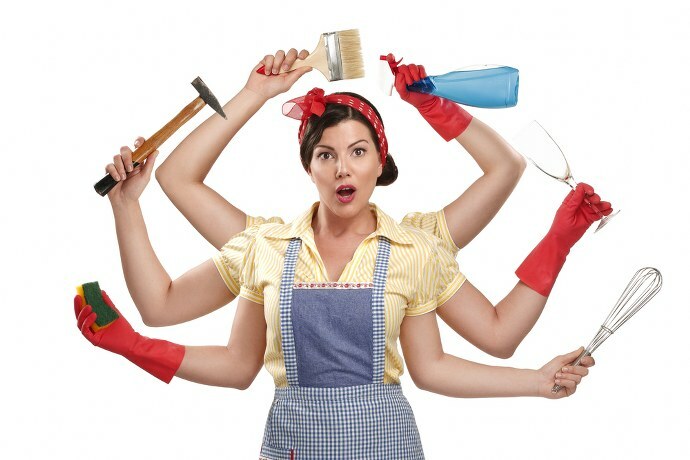 But domestc cleaning is time-consuming and also requires a lot of effort from you. If you are pressed for time, the best thing is to hire a cleaning company. Not only do these people offer professional cleaning services, but they also know the right cleaners for every task. In the end, professional cleaning may be costly, but if you consider its benefits, you will find that it’s worth it.